New Jersey Sea Grant Consortium (NJSGC) is an affiliation of colleges, universities and other groups dedicated to advancing knowledge and stewardship of New Jersey’s marine and coastal environment and a sustainable future for New Jersey’s coastal resources. Its mission is achieved through its research, education and extension programs. The education and professional development of future marine scientists is a major goal of NJSGC’s strategic plan. To help achieve this, NJSGC provides summer research opportunities for undergraduates enrolled at New Jersey’s colleges and universities. 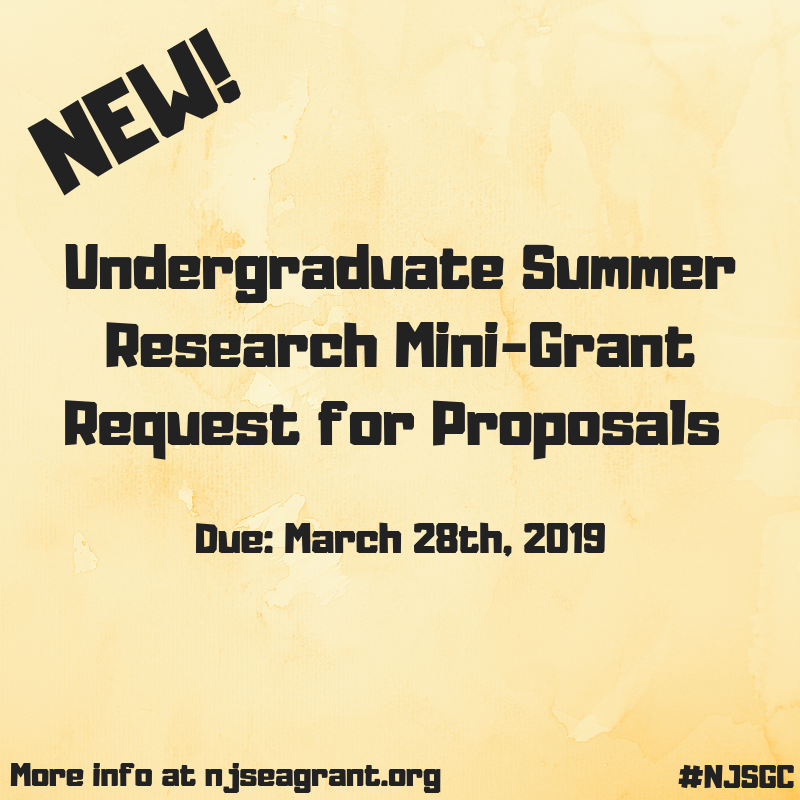 In 2019, NJSGC anticipates funding one (1) $2000 mini-grant for summer research. Research must be student led with support from a faculty mentor. Interested students should consult with their faculty mentor as well as read the most recent NJSGC omnibus research RFP for potential project ideas that support NJSGC’s research priorities as stated in the RFP. Research should be conducted between May and September with final reporting due for the funded project by end of February 2020. View the full RFP here. The deadline is March 28th, 2019.